Ian Gillan: Biography - His unique voice is instantly recognisable. Ian Gillan was heavily influenced by the young Elvis Presley, as well as Little Richard, Buddy Holly and others of that dynamic era. During his formative years he absorbed the wide range of musical genres that were flooding Britain in The Sixties. Ian Gillan met Roger Glover when he joined the harmony group Episode Six in 1965. They toured with Dusty Springfield and performed five shows a night (eight on weekends) at joints like The Storyville Clubs in Cologne and Frankfurt, plus a long stint at the Casino du Liban near Beirut. In 1969, both went on to become forty per cent of Deep Purple when they were enlisted as singer, bass player and nascent song writing team. 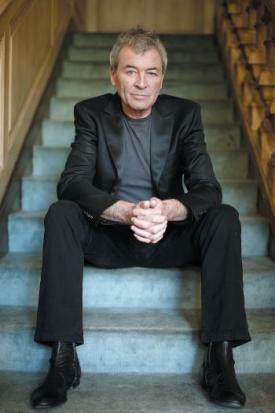 Gillan emerged at the beginning of the next decade as 'the voice' of Deep Purple; his approach to singing on 'Deep Purple in Rock' set new standards. Ian Gillan broke new ground in the '80s with his famous tours in previously unexplored territories (see his website gigography). After going solo, Sting requested a tour schedule 'just like Gillan'. He played Charles Darwin in the Bolland and Bolland recording, Darwin - The Evolution, 1991. Ian Gillan has twice duetted the aria Nessun Dorma with Luciano Pavarotti, 2001 and 2003. His interests outside music are: his family, walking, drinking in good company, scribbling his thoughts, current affairs and following the fortunes and misfortunes of QPR, the West London football club he has supported all his life. And...like all fans, he is a philosopher. Gillan is still performing to sold-out audiences in major arenas all over the world - 48 countries last year - with Deep Purple and is still on tour supporting the most recent Purple album 'Rapture of the Deep'. 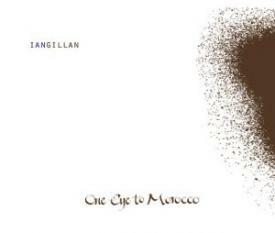 In addition to all of these activities Ian finally found the time to record his long awaited new solo album "One Eye to Morocco".